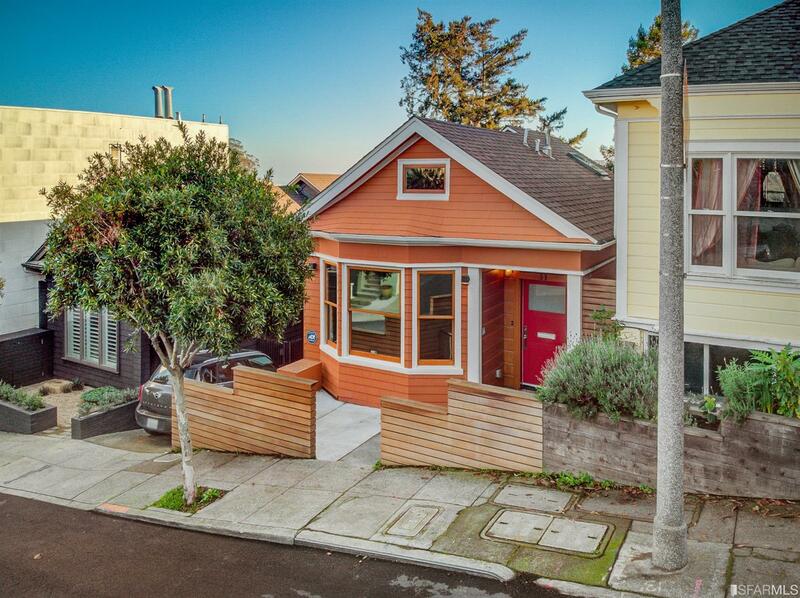 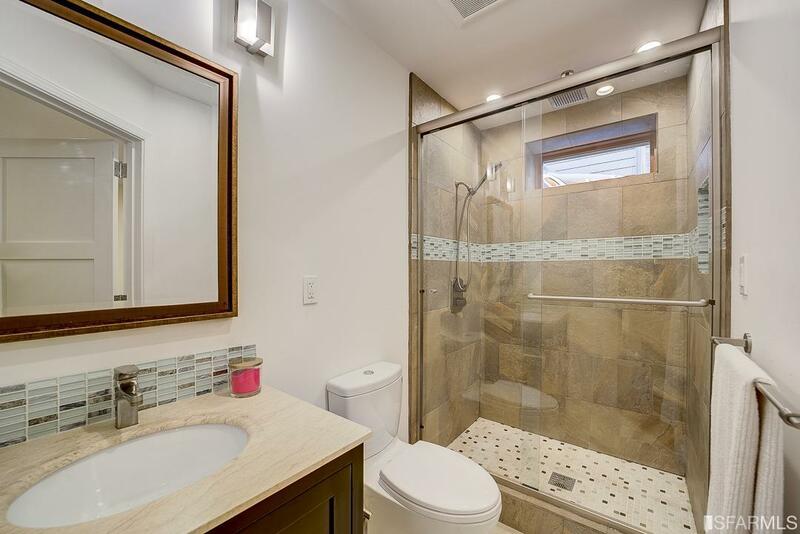 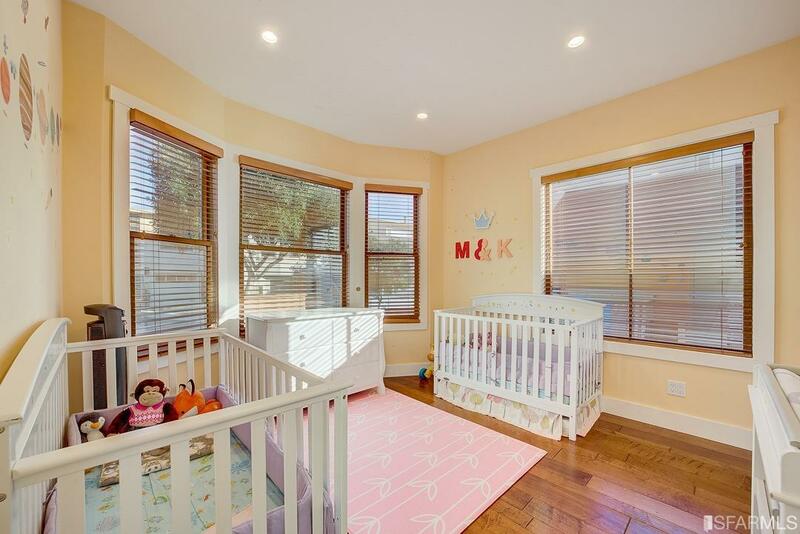 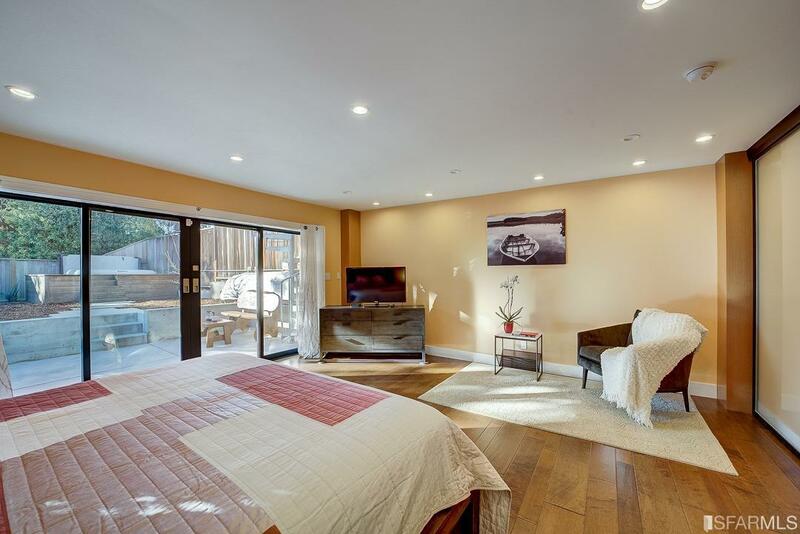 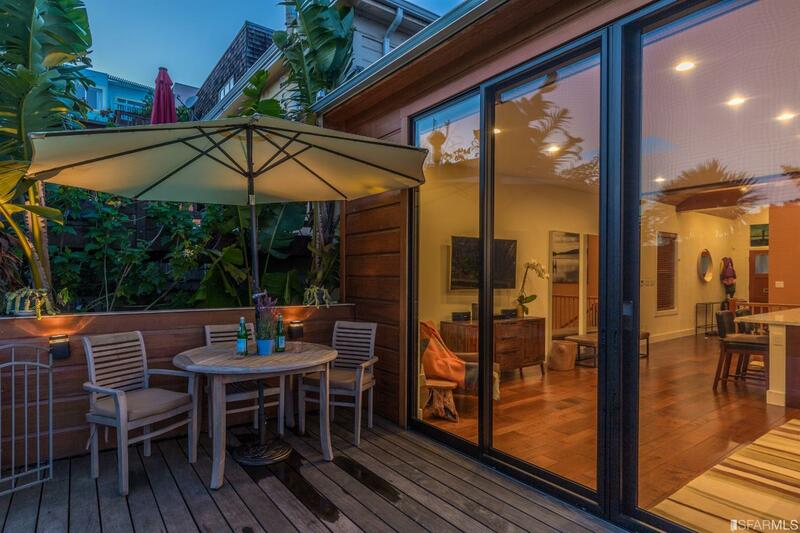 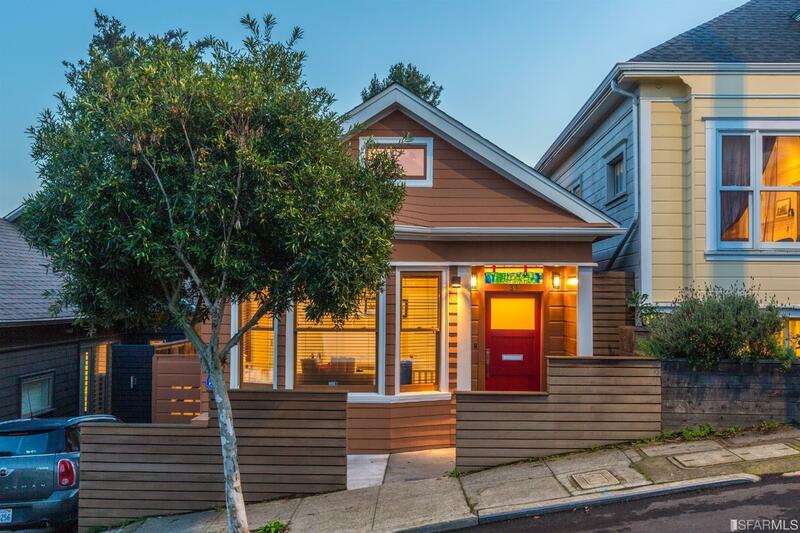 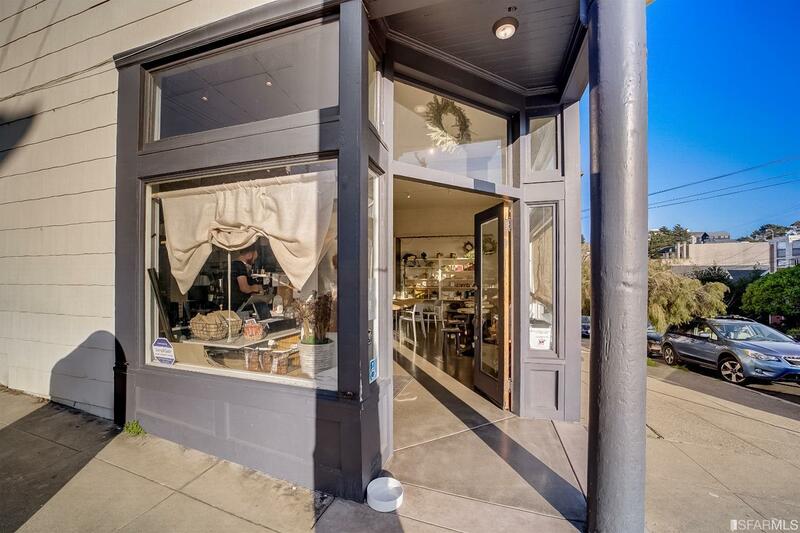 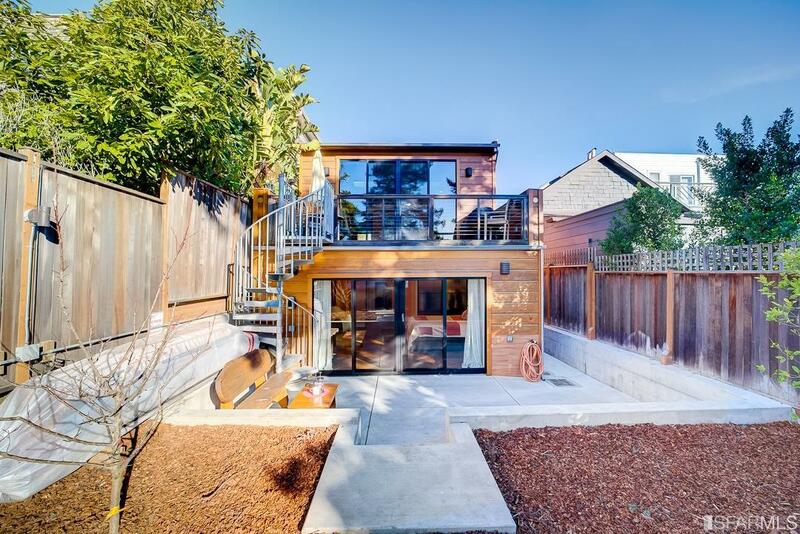 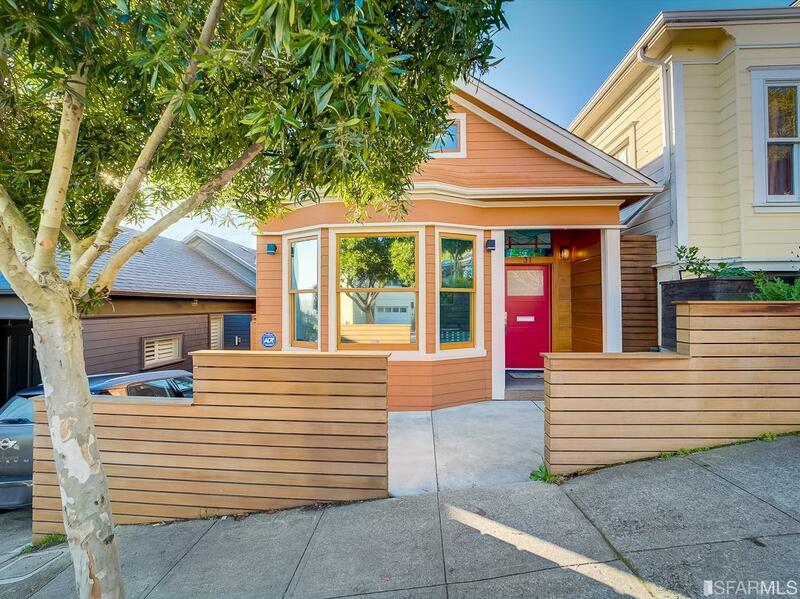 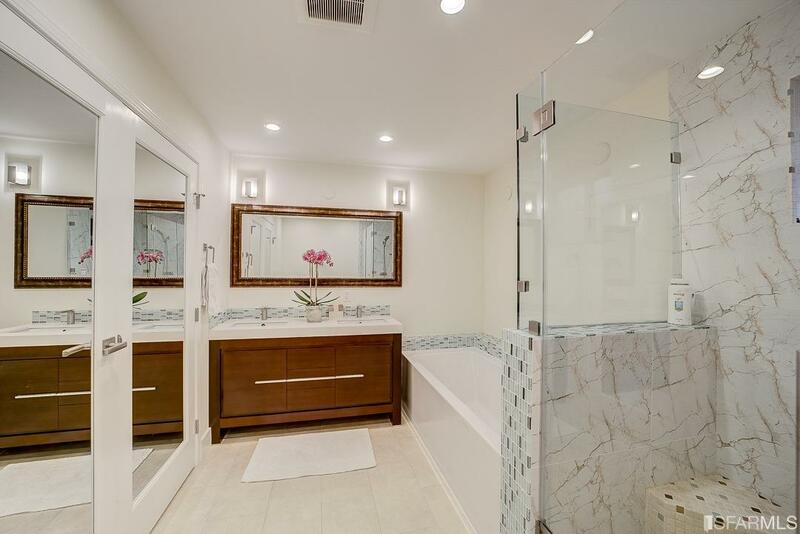 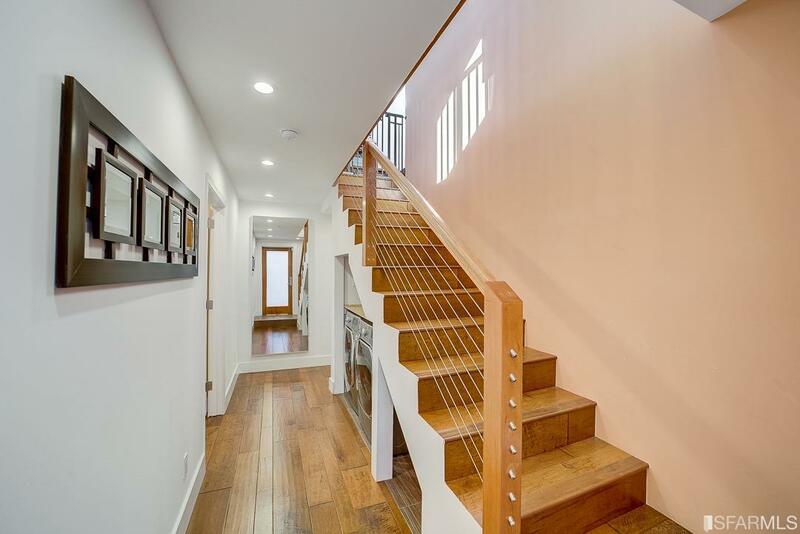 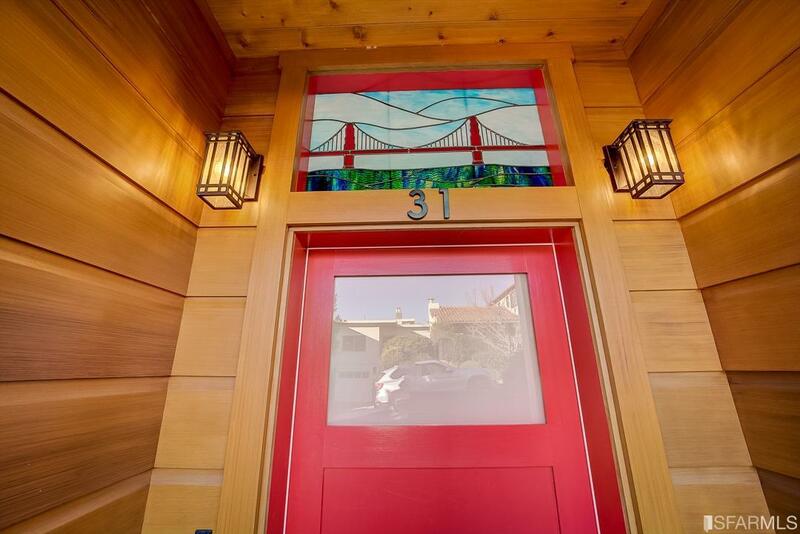 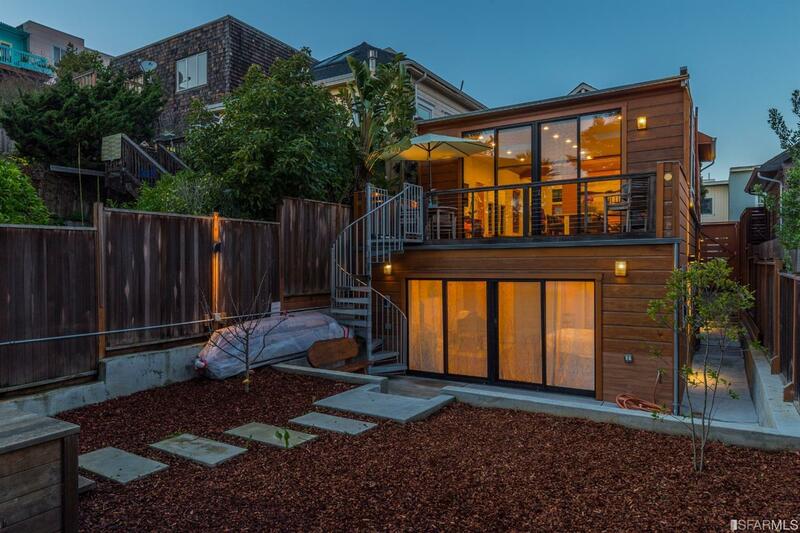 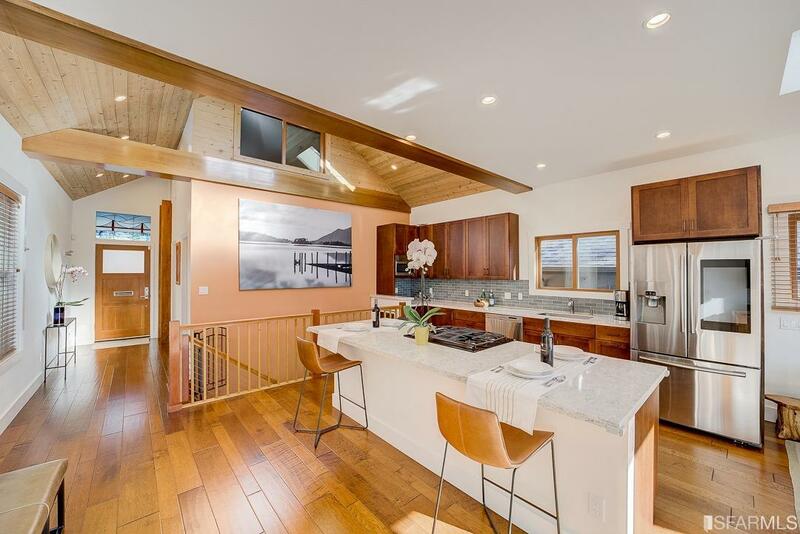 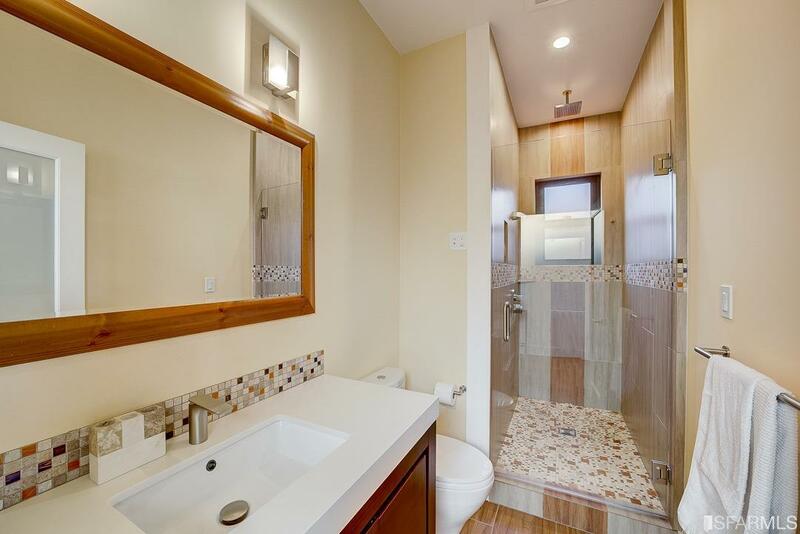 This impeccably renovated (2015) historic Earthquake Cottage is situated on a quiet street in the Eureka Valley neighborhood, just steps away from the historic Castro Theater! 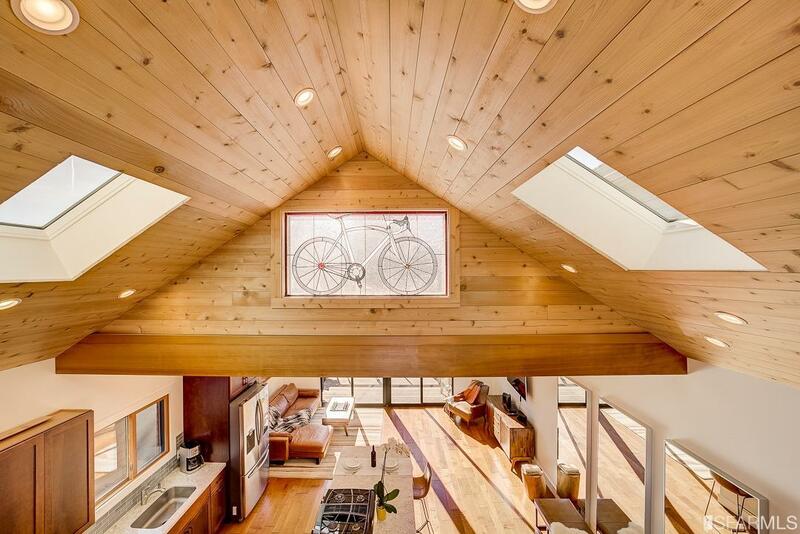 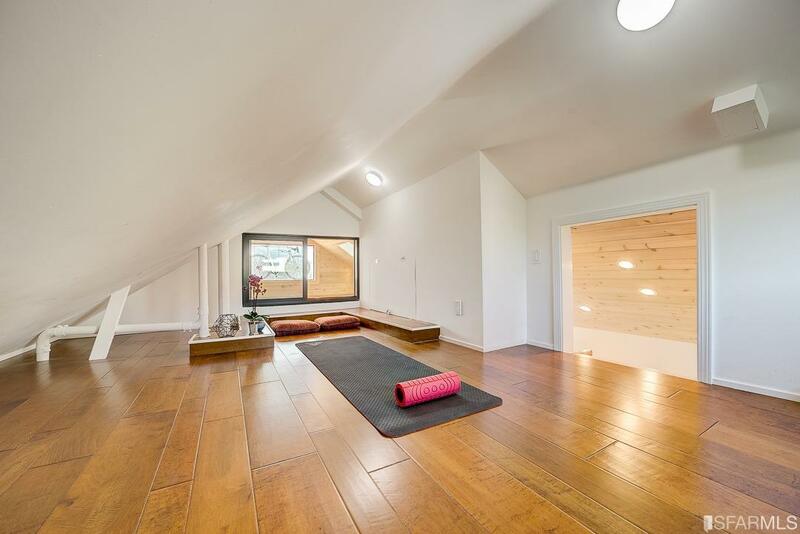 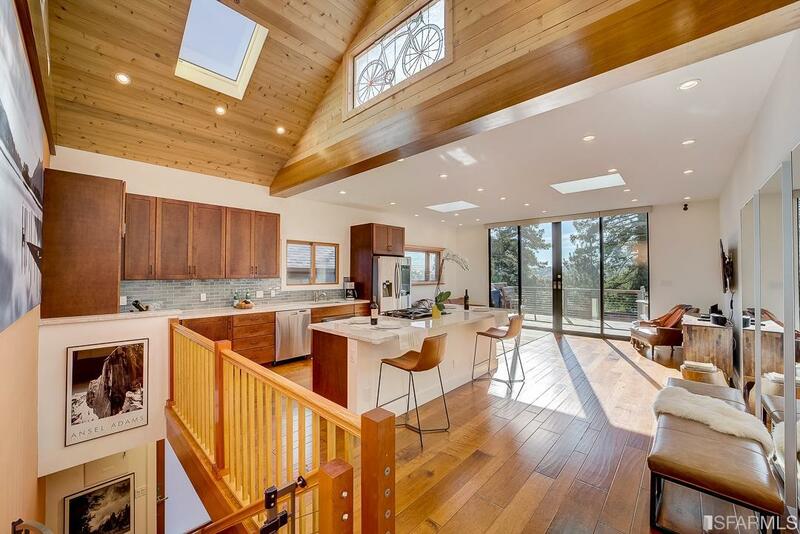 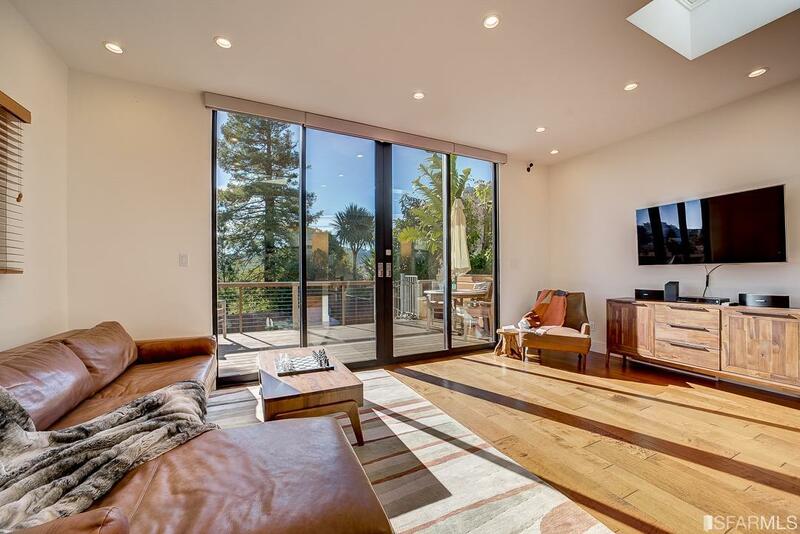 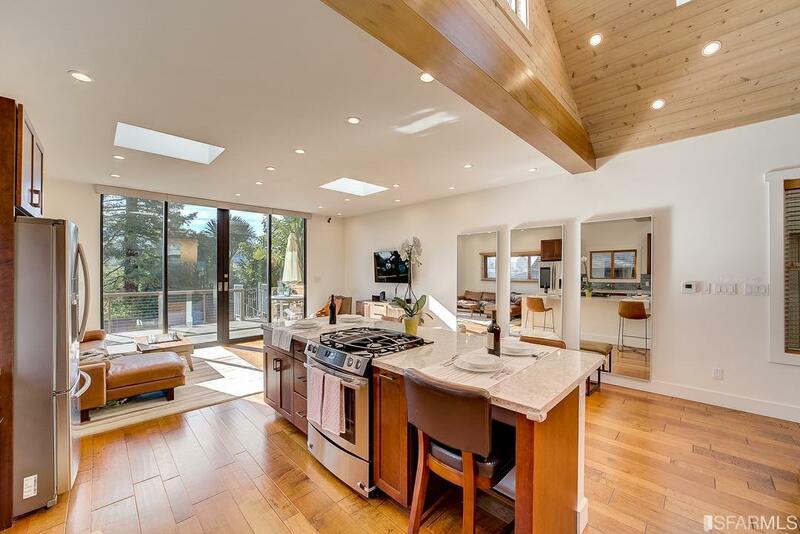 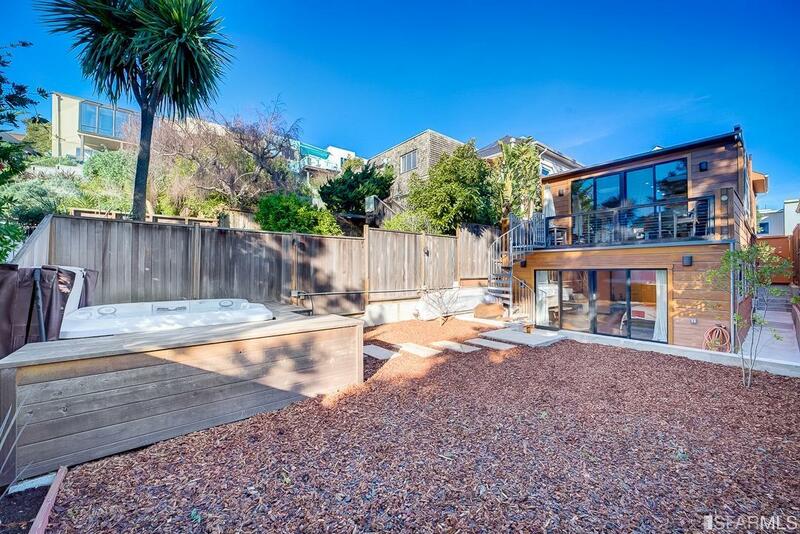 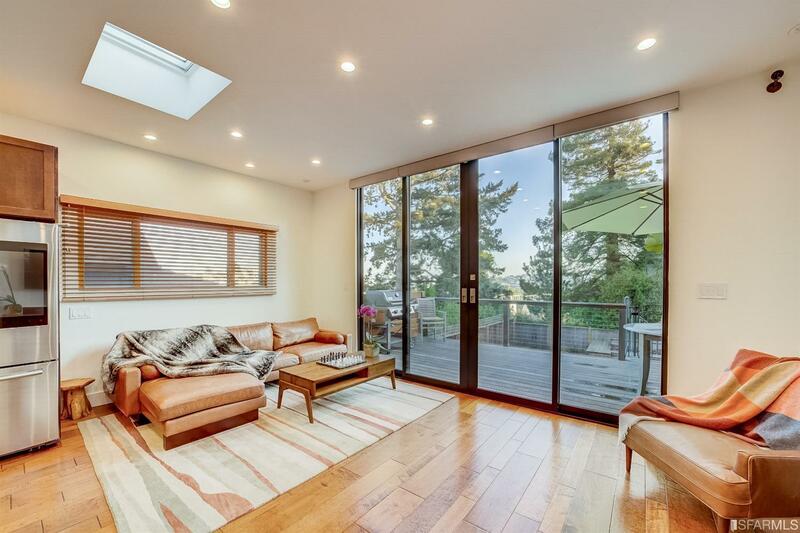 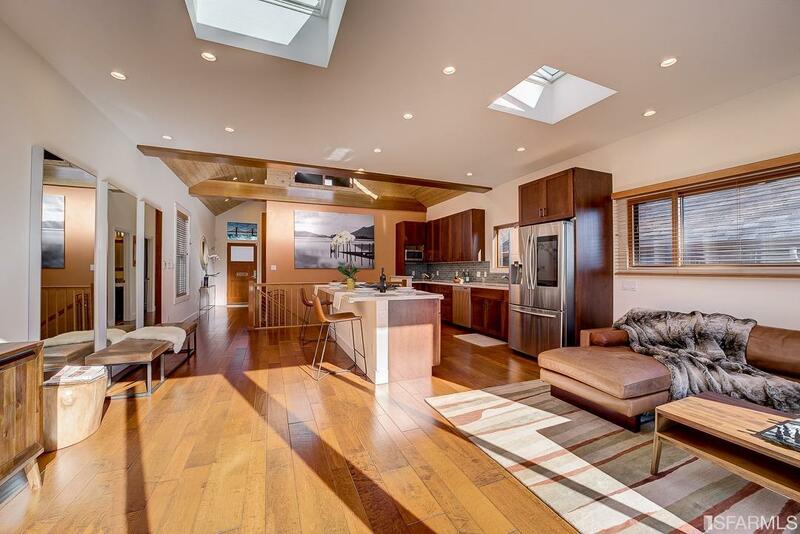 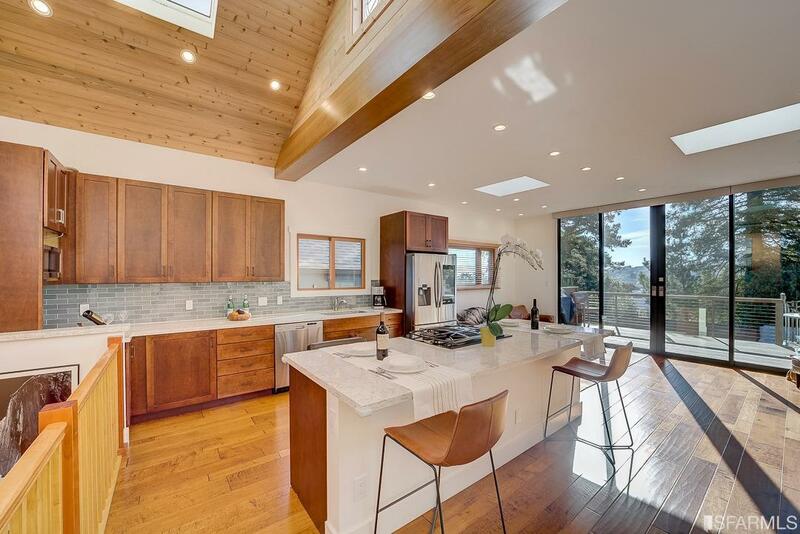 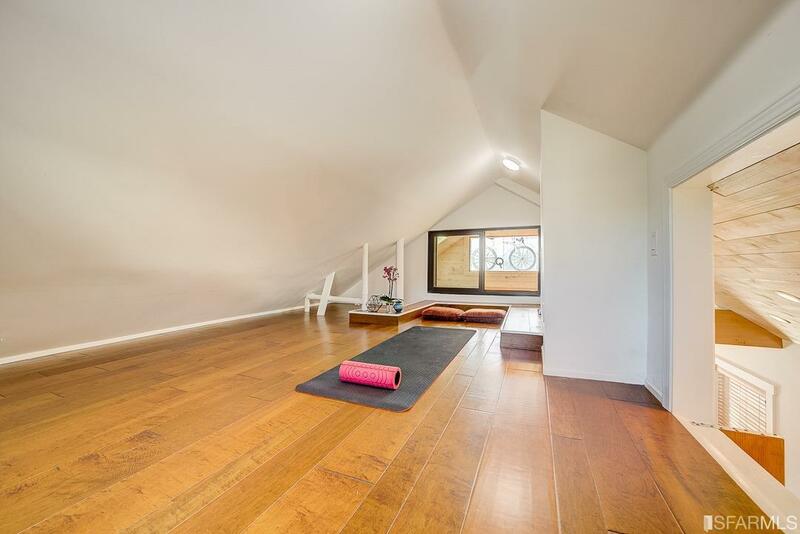 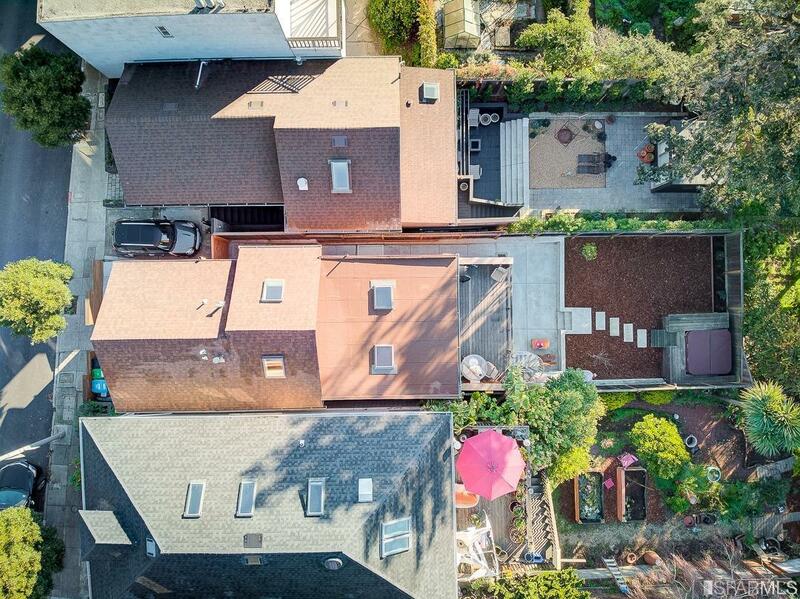 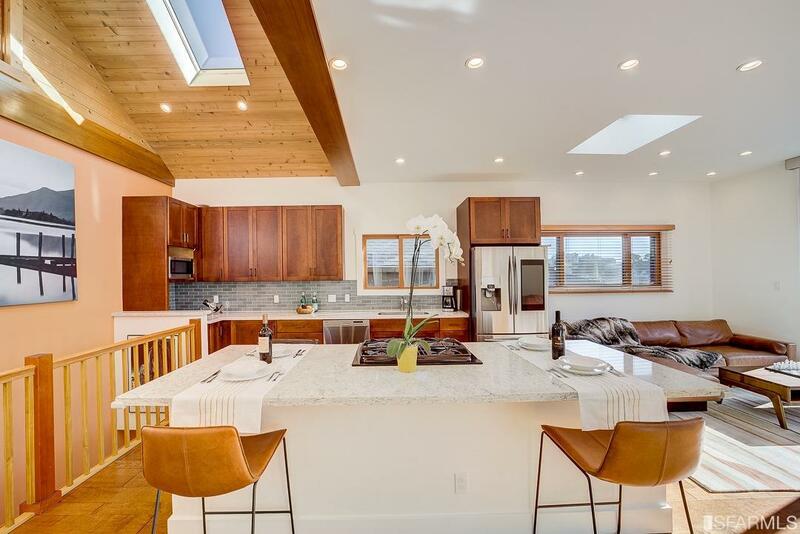 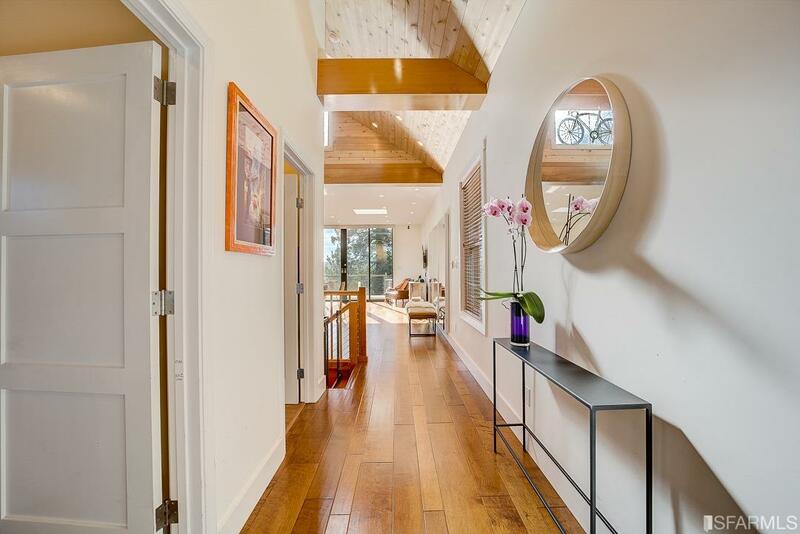 This sun-drenched home boasts vaulted ceilings, skylights and southern facing views. 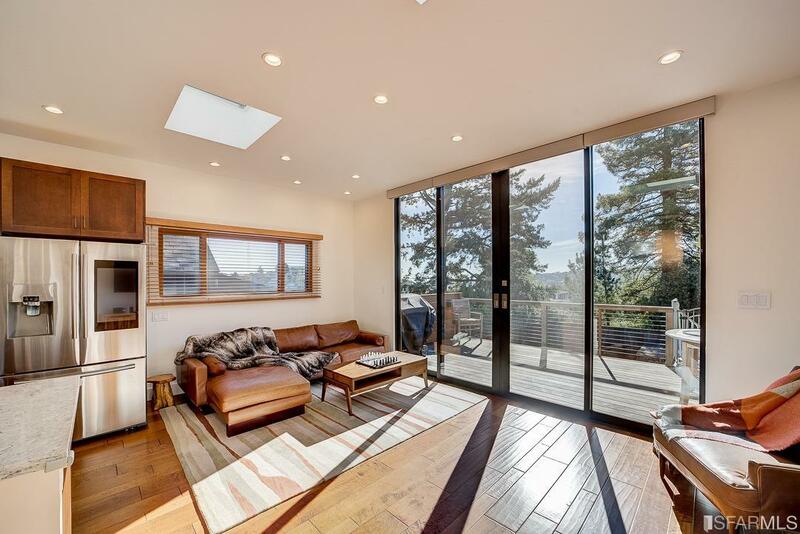 Open-concept living and dining with floor-to-ceiling windows and custom window treatments open to upper deck with built-in gas hookup. 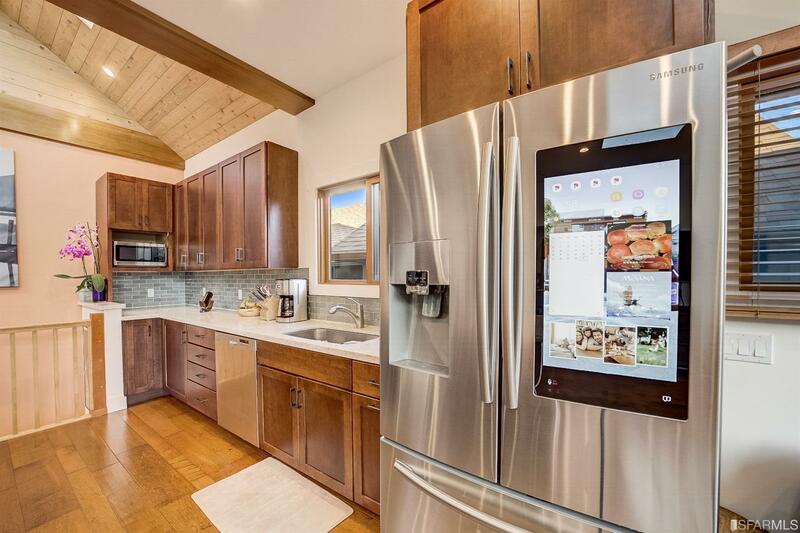 Kitchen includes a center island, glass tile backsplash, quartz countertops, stainless steel appliances, gas range, and smart fridge. 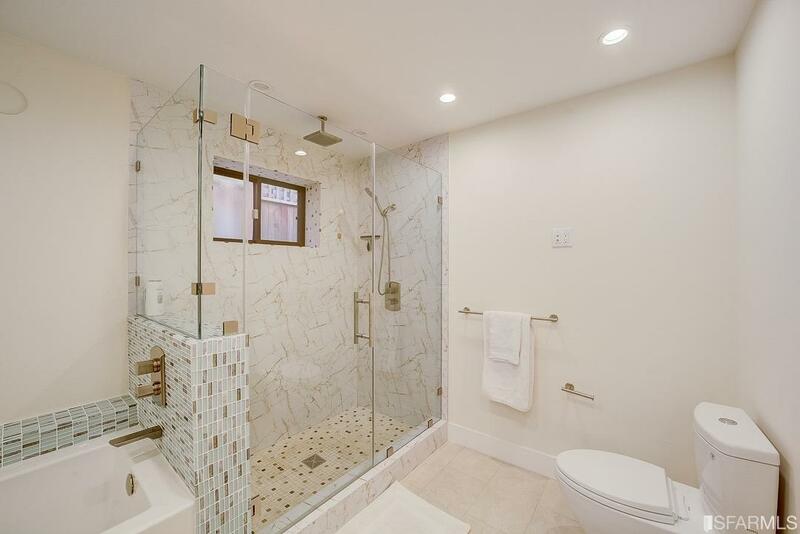 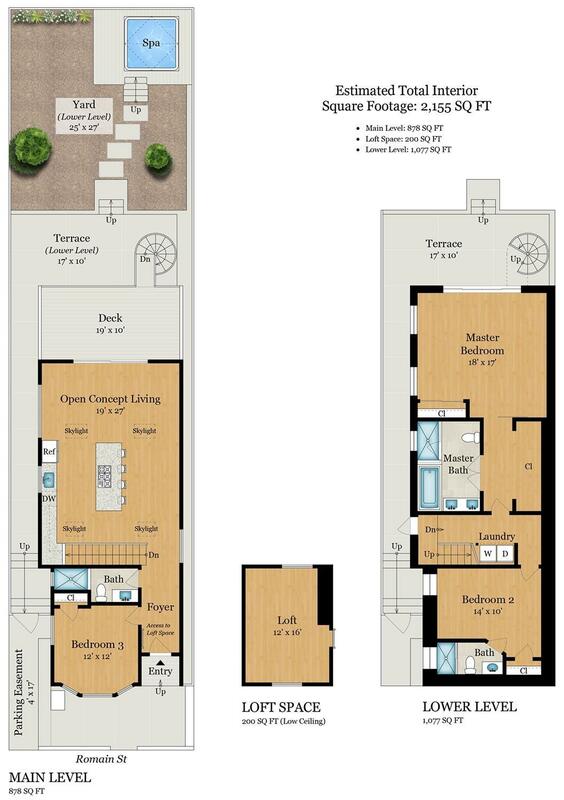 Master suite provides direct access to outdoor terrace and spa-inspired bath with rainfall shower and separate extra deep tub. 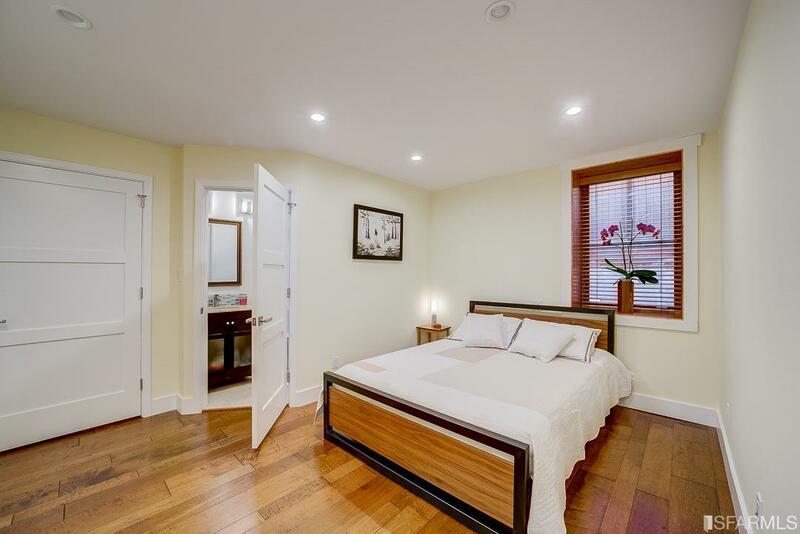 Second bedroom with en-suite bath plus separate side access for private entry. 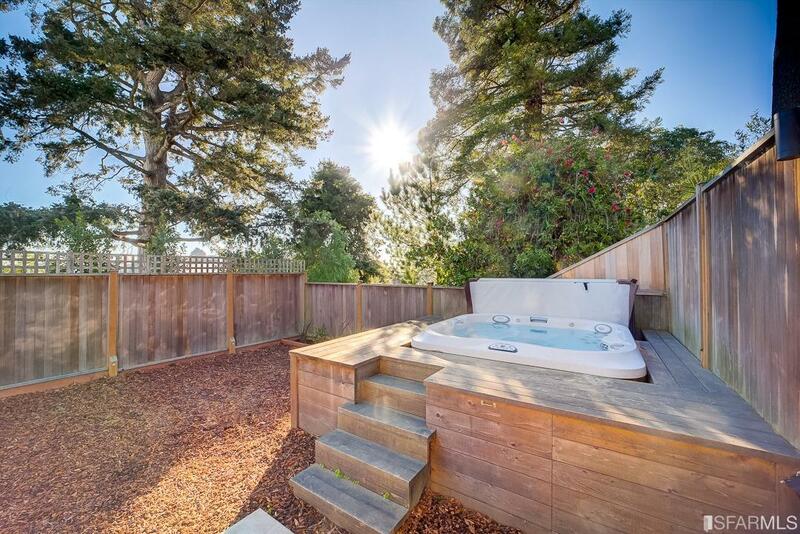 Low maintenance backyard, spa hot tub and mature trees. 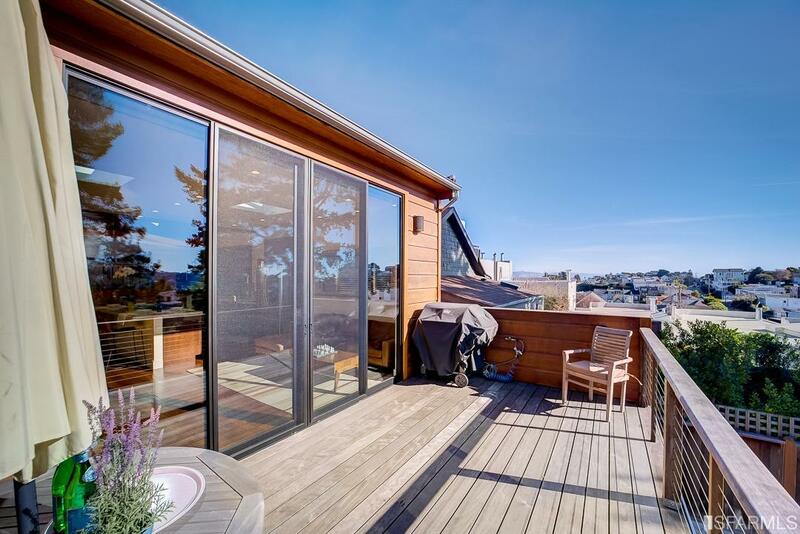 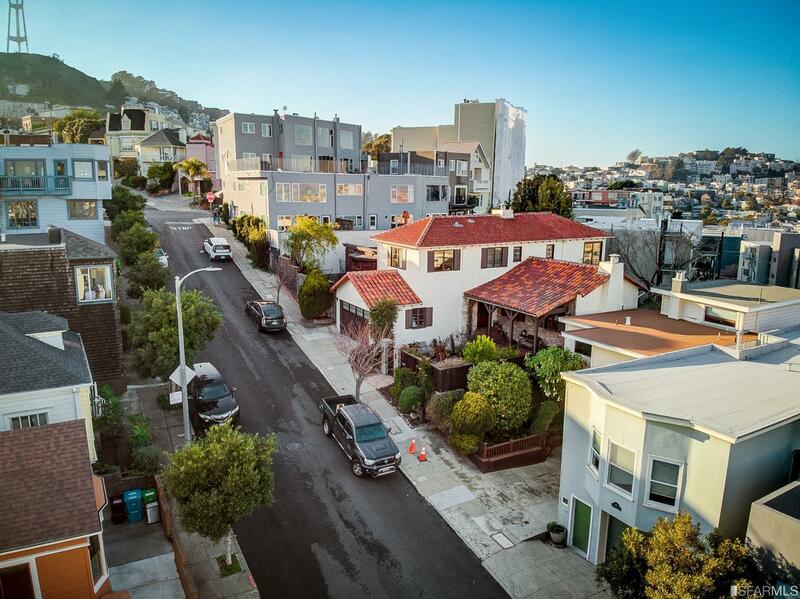 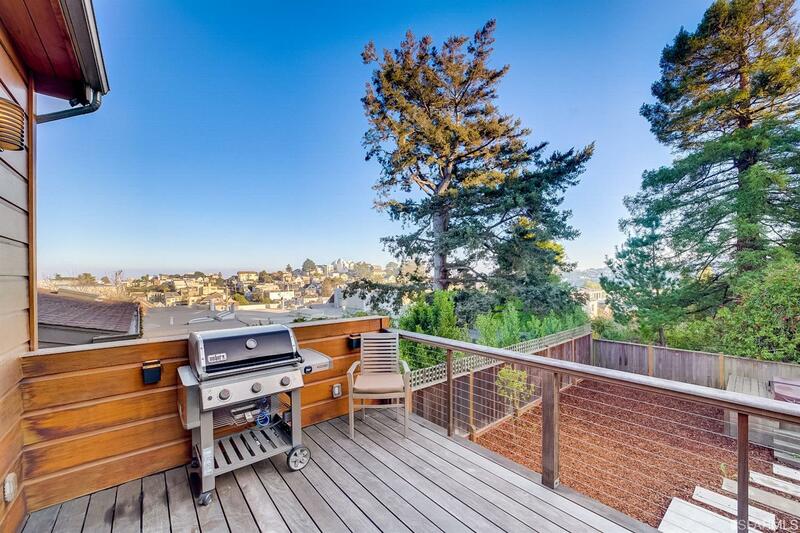 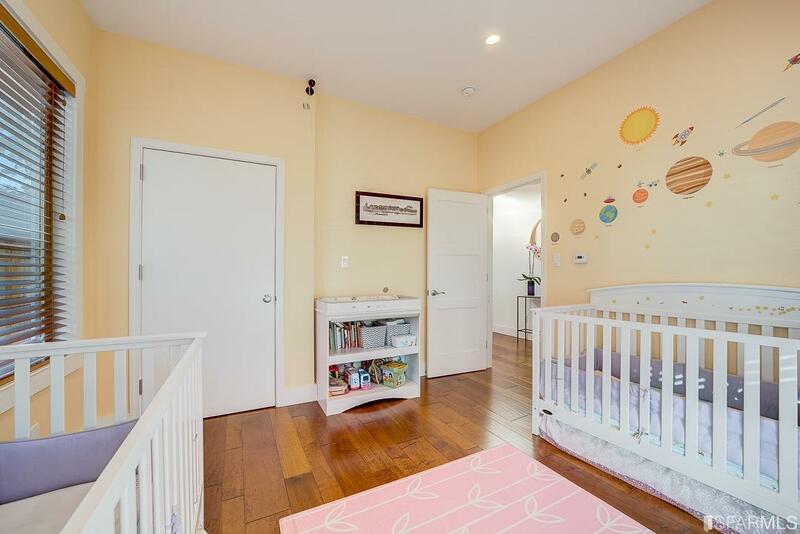 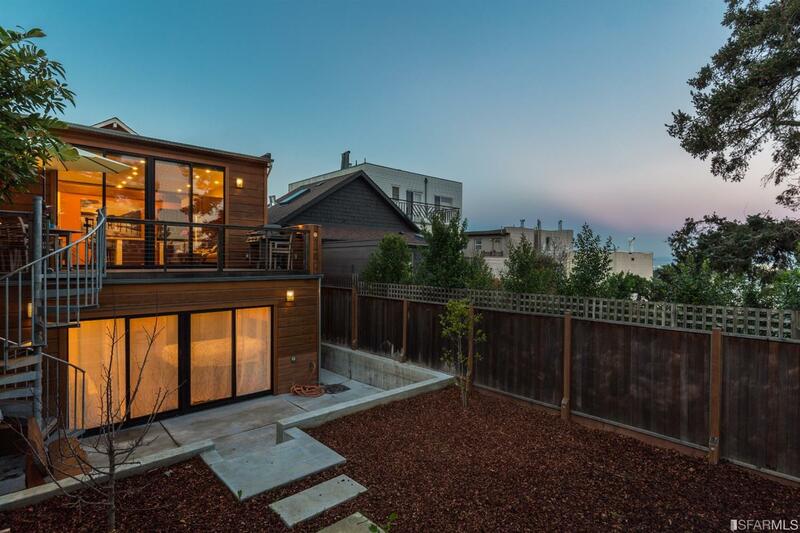 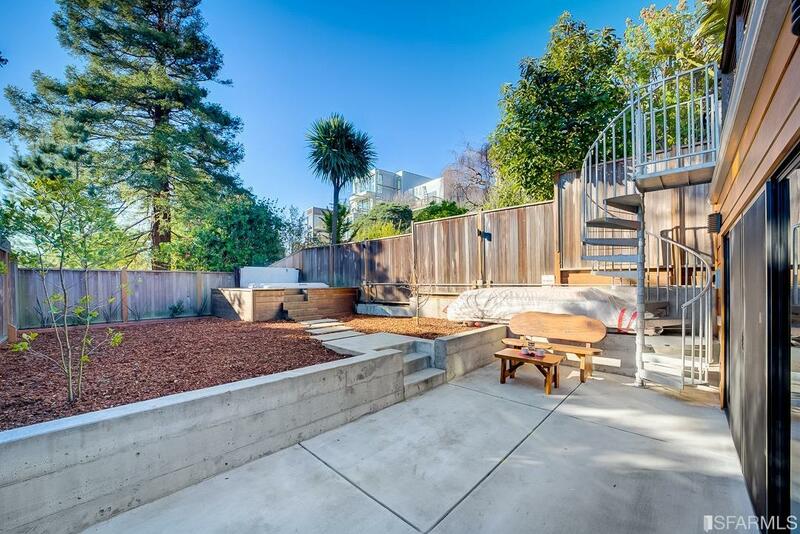 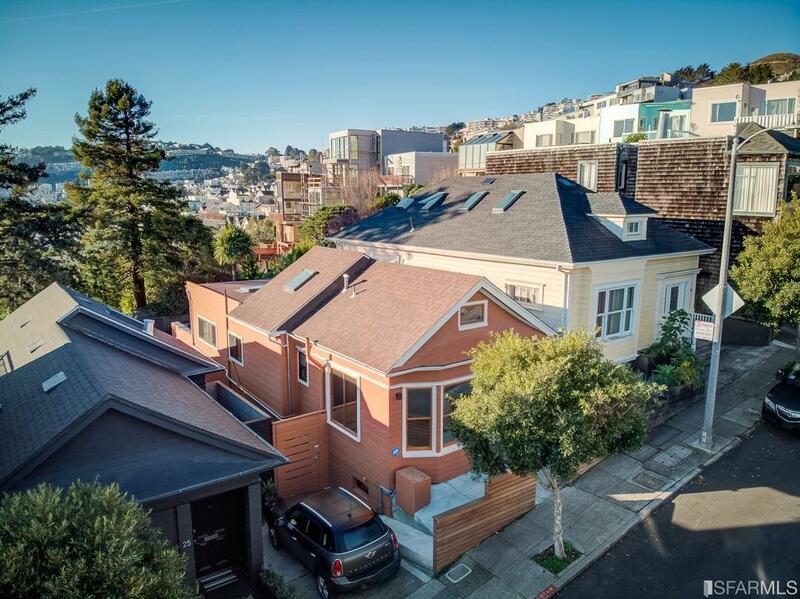 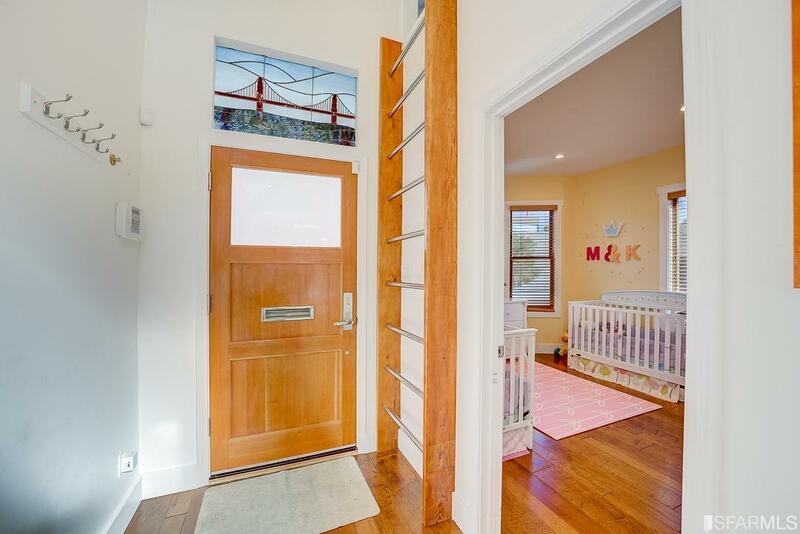 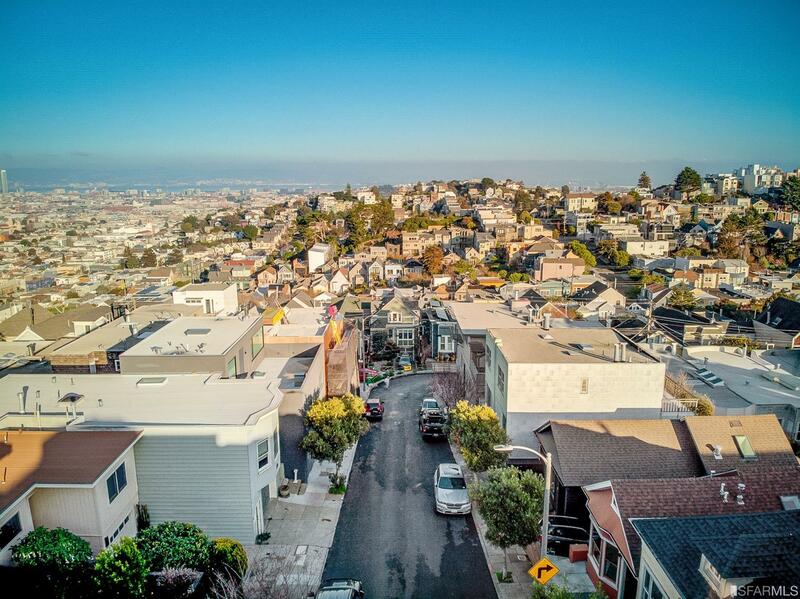 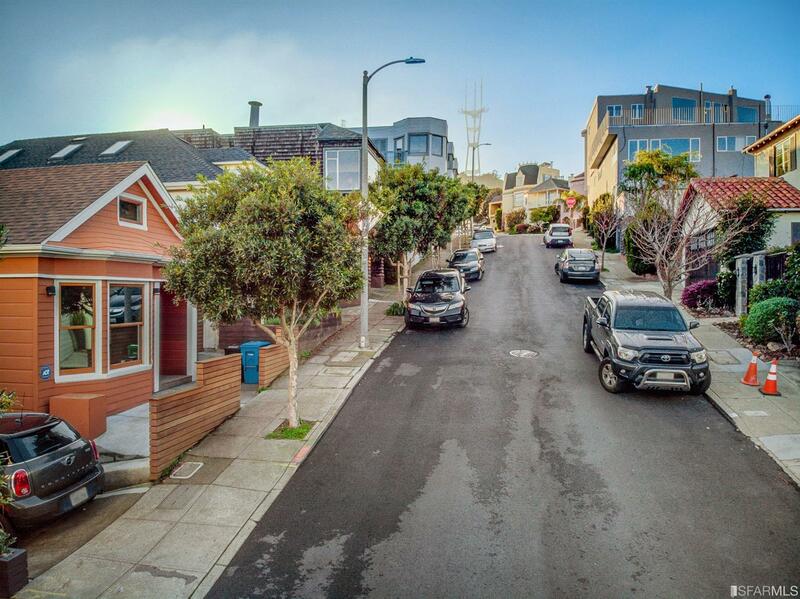 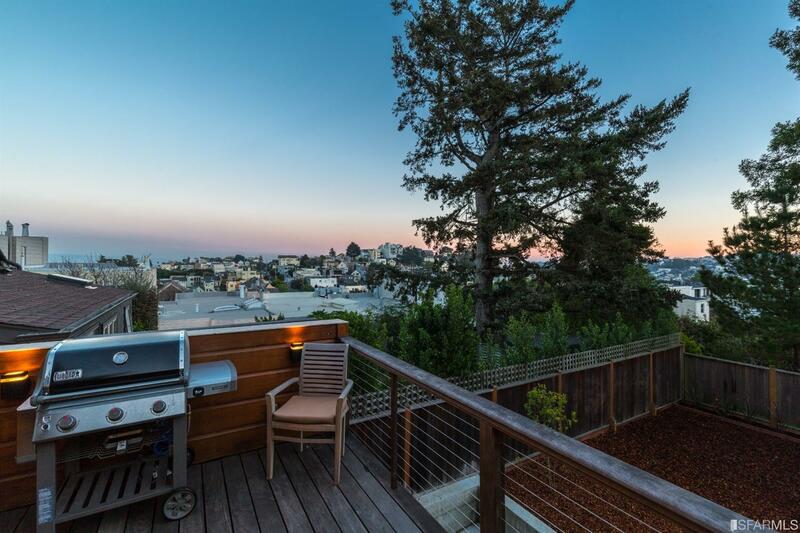 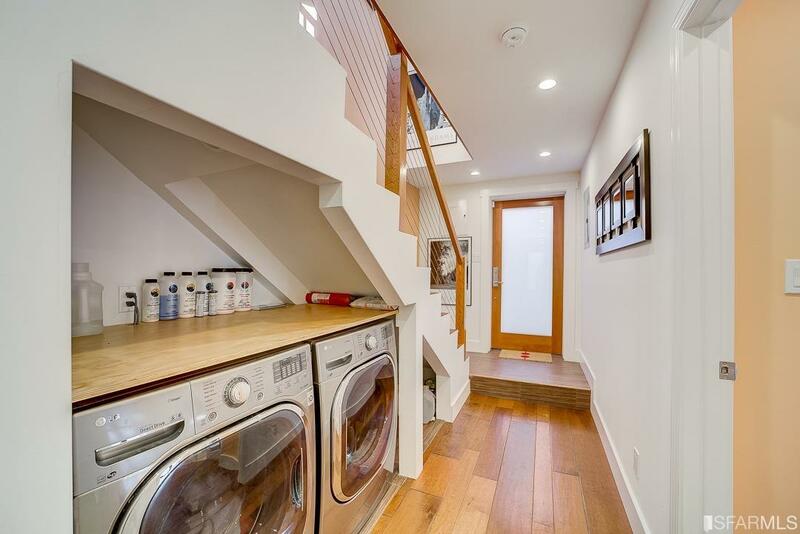 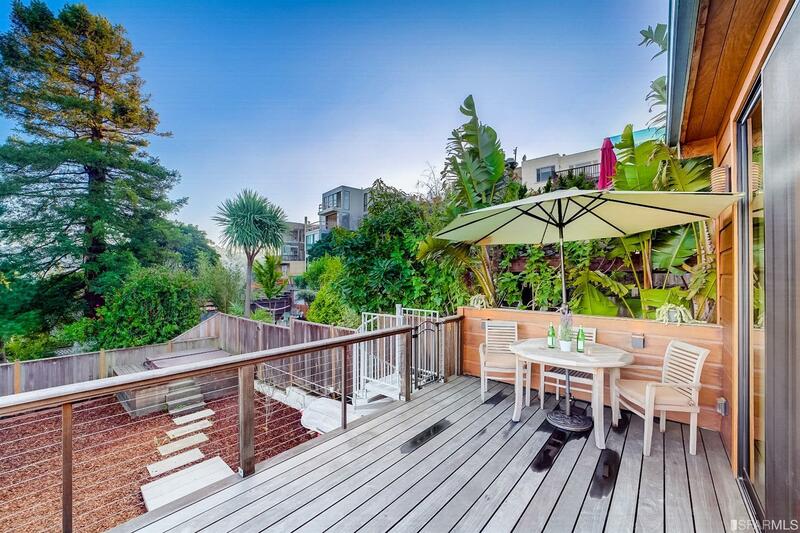 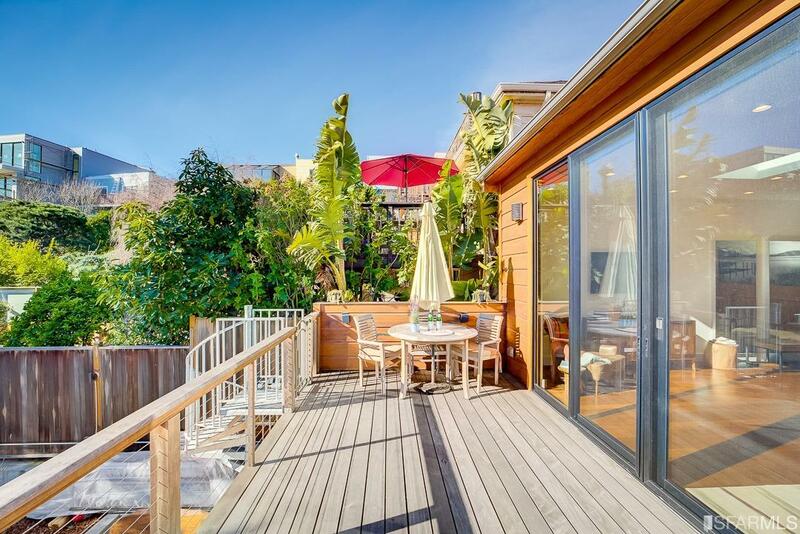 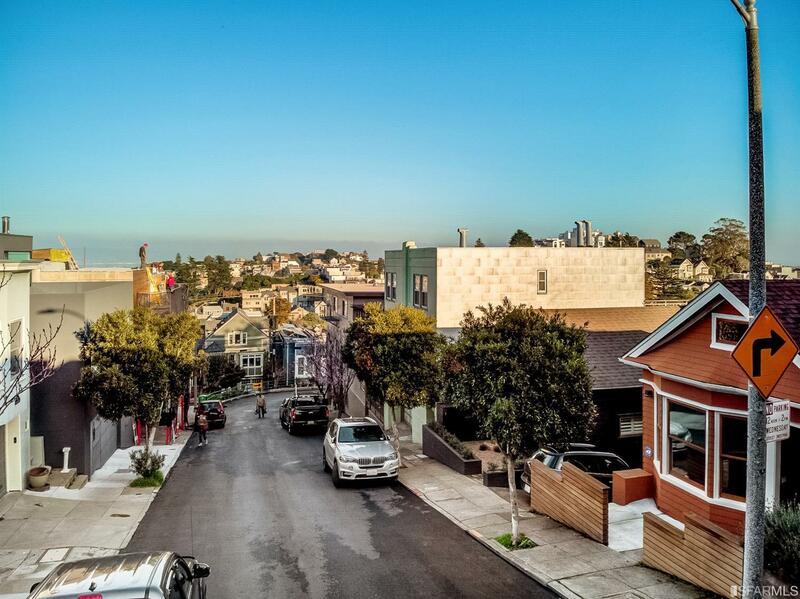 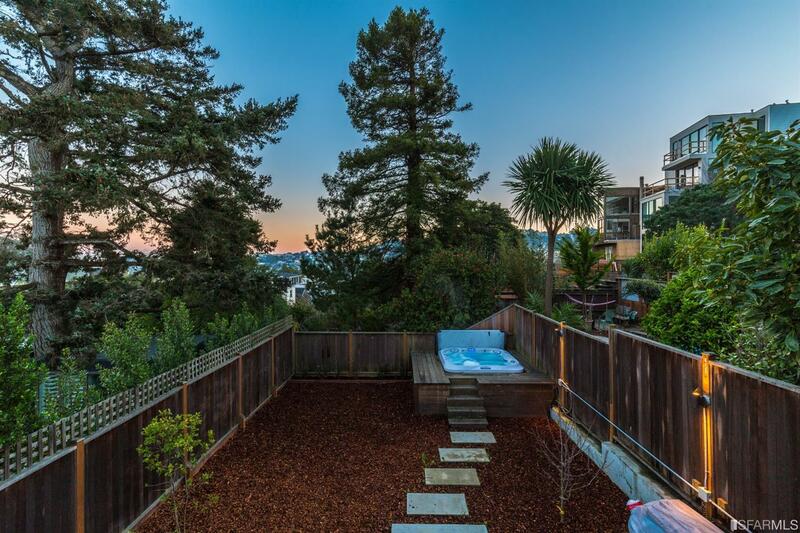 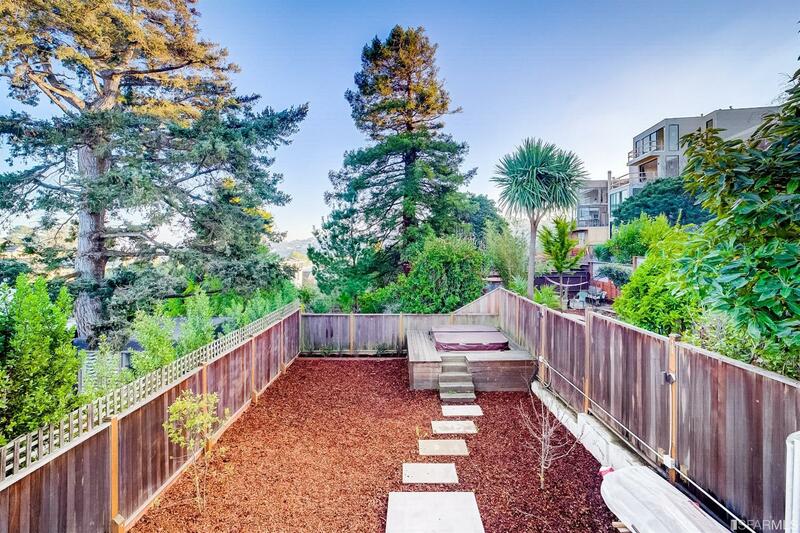 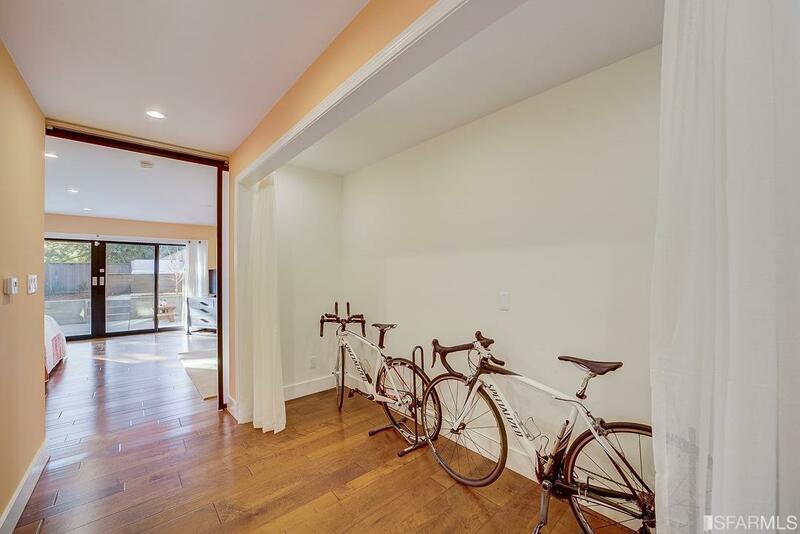 Nestled conveniently between Castro and Noe Valley this move-in ready home is located just minutes to great restaurants, shopping, Kite Hill/Dolores Park and transportation options.